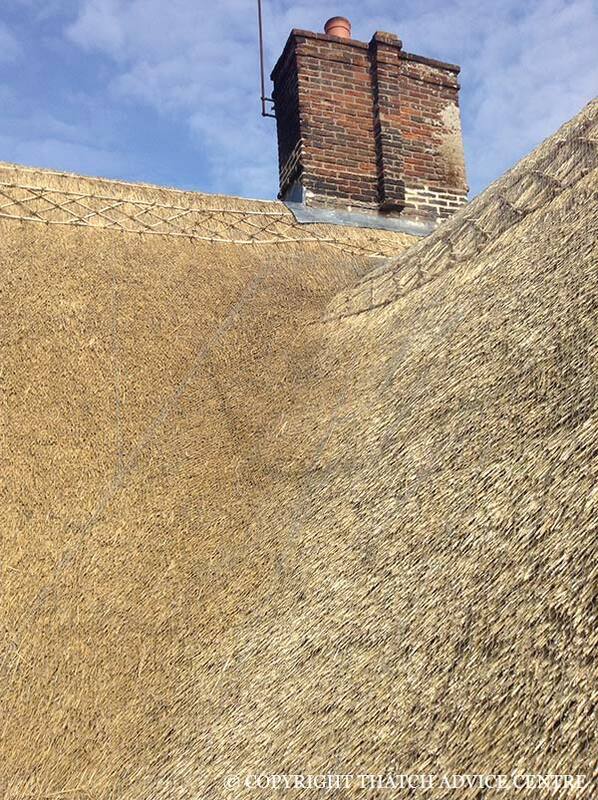 A saddle is the join where one roof cuts into a main roof of a thatched building. 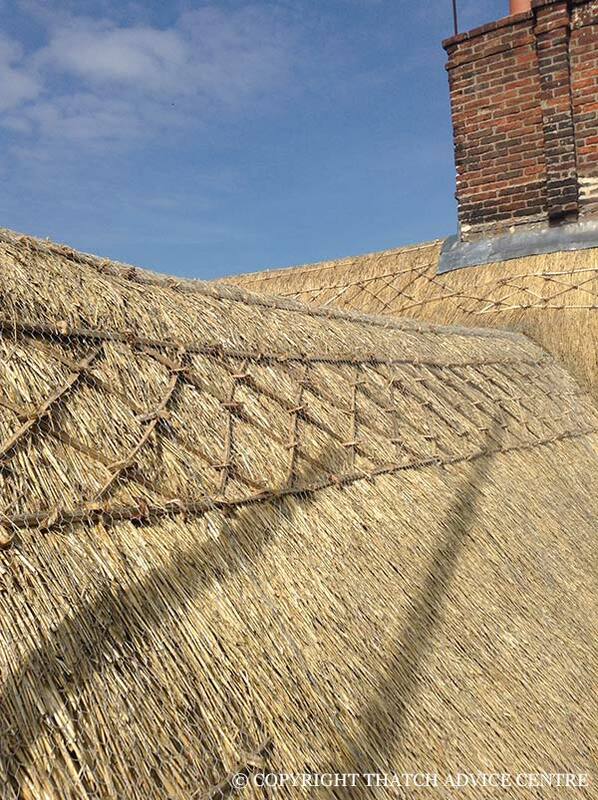 It is a section at a junction between the main roof coatwork and a lower section. 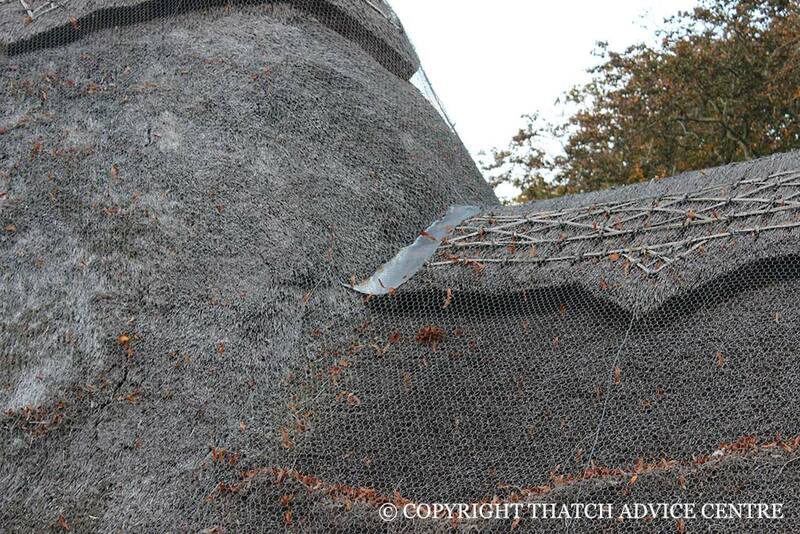 A thatched saddle is sometimes protected with lead, although it is not a necessity. This may be due to personal preference or because the roof design means that it will be taking a lot of water and so this may reduce additional wear. A swan neck is where two ridges of building section join at slightly different heights and the ridges therefore flow between the two. There should be no confusion between this and a saddle. Saddles may vary depending on the roof design, here are a few examples.